Another representative of the range of antidepressants. It is produced in the form of tablets, coated white film. Sleeping pills of the imidazopyridine group. The mechanism of action is relatively high selectivity for w1 benzodiazepine receptors. It has little impact on w2 receptors and does not affect receptors omega 3. 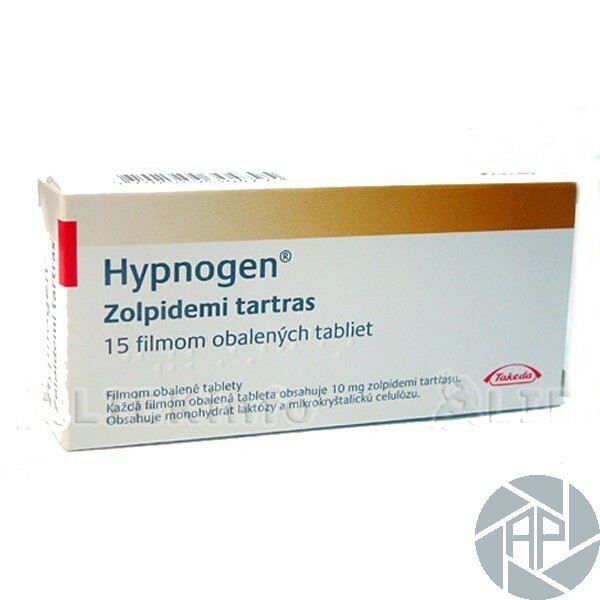 It is characterized by rapid onset of pharmacological effect, reduce sleep time, reduce the number of night despertaciones, increases the duration of sleep, improve their status. Phase II of the phases of sleep and deep sleep (stage III and IV) extends. It has a central muscle relaxant and anticonvulsant effect of the action. Mode of action is manifested through 7-27 minutes after drug ingestion. As for the time of the drug, the duration of the course for the patient is selected by the treating physician, based on the state of health, the depth of symptoms and physiological characteristics of the patient. The drug is exposed to the effect of first pass called, so it is able to pass through the human liver. At the end of the course 80% of the drug is excreted in the urine and feces of the patient. Elderly patients there is a decrease in plasma clearance without significantly increasing the half-life (mean 3 hours), Cmax increases by 50%. 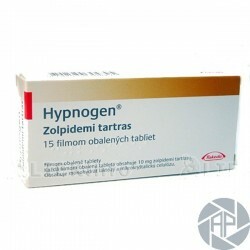 The main objective of this drug is the treatment of disorders of healthy sleep. Therefore, the drug refers to a group of fast hypnotics. The initial drug dose is about 10 mg. If necessary, the dose may be increased to 20 mg. The drug should be combined simultaneously with a large consumption of fluid in the body. This will act best drug substances in humans. For elderly patients the dose should be reduced significantly and be 5 mg. The same dose is indicated in patients with liver dysfunction problems. The medication must be carried out just before bedtime, for 10-30 minutes. In the case of an overdose of occurrence of side effects such as agitation, drowsiness, confusion, severe ataxia, impaired function of the cardiovascular system, diplopia, breathing problems, vomiting, coma drug possible. Treatment in this case acts as a gastric lavage, reception activated carbon, symptomatic therapy in the hospital. In the case of use of sedatives excitation it is unacceptable. To remove the sedative and depressant effects on respiratory function shows the introduction of flumazenil. Dialysis is ineffective. In an application of Gipnogen neuroleptics, hypnotics, sedatives, tricyclic antidepressants, opioids, drugs containing ethanol, ethanol, antitussive drugs, tranquilizers, antihistamines, clonidine moderating effect on the central nervous system. In a Gipnogena benzodiazepine tranquilizers application increases the risk of drug dependence. Flumazenil eliminates the effect sedative zolpidem. In an application zolpidem imipramine and chlorpromazine acts additively while prolongs the half life of chlorpromazine, increases the incidence of somnolence and anterograde amnesia, decrease the maximum concentration of imipramine. the use of the drug during pregnancy and lactation is not recommended, as well as feed a baby. It is also recommended not to take the drug for people whose work is related to driving, as well as working with other mechanisms and actuators.